Whoever’s in charge the New York Public Library online stuff deserves a big kiss from me. 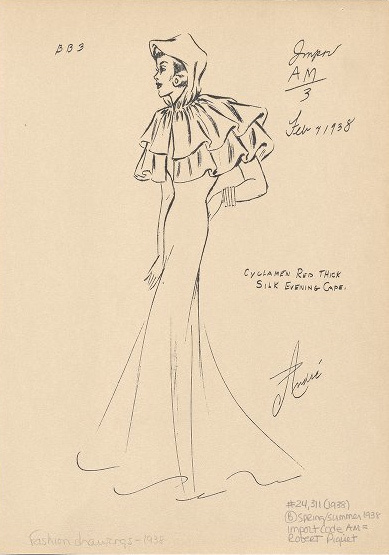 First I flipped over the menu archives now I’ve found an amazing collection of fashion sketches from the Andre Studios. While much of the business information about Andres is gone, their drawings remain. If you love fashion you could get lost in here for weeks. Thank you NYPL for making these which were once only available to researchers online for all of us to view and fawn over.